Pattison may be ranked outside of the top 50 right now, but heading into the season, he was the 14th fastest returner from the 2017 state meet. The West Platte junior has been having a steady 2018 campaign with only one or two hiccups, but on the whole, it has mirrored his 2017 campaign. 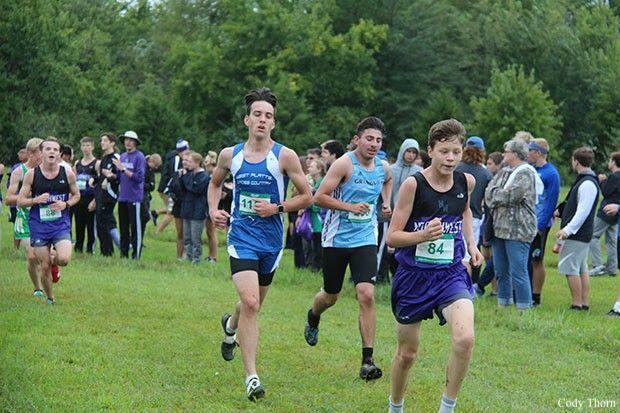 Heading into the state meet, he hadn't run under 18:00 yet and ran his season best at the District 8 meet for third. Guess what he did this year. Ran his season best at District 8 for third and still hasn't run under 18:00 yet. Pattison is looking to peak again this Saturday as he tries to help his West Platte teammates bring home a Class 1 trophy. With Max Davies competing for the individual title, Pattison will be a key to the Blue Jays getting to the call to the podium. He was already a key to the Jays' 19th straight district title this past weekend and is no stranger to helping his squad bring home state series hardware.